Home > About Massey > News > Opinion: Catalonia - catalyst for independence elsewhere? 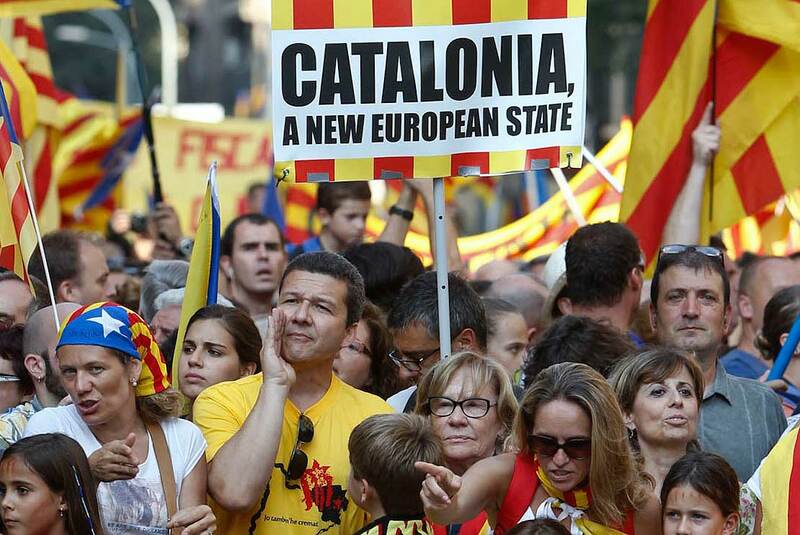 Opinion: Catalonia - catalyst for independence elsewhere? Will the recent referendum in Catalonia be enough to propell the Spanish region into full independence? Catalonia’s vote for independence faces hurdles - namely the Spanish government and the European Union – before separation can become a reality. Whatever the outcome of the recent referendum, the Catalan cause might well be a catalyst for autonomy-seekers in Spain’s Basque region – and even Scotland. Support for Catalan independence had been growing in recent years in the territory, spurred largely by economic grievances but also cultural divides between the territory and the rest of Spain. Following the global financial downturn and the Eurozone crisis after 2008, the Catalonia economy suffered considerably. Resentment that the central Spanish government was taking more from the local economy than it was giving back began to fester. Catalonia represents 16 percent of the Spanish population but about 19 per cent of Spain’s overall gross national product; in 2016 Catalonia’s GDP was estimated at US$283 billion. There was also popular discontent with a 2010 law which was viewed as curtailing Catalonia as a distinct nation within Spain. Under the repressive military regime of Francisco Franco, (in power from 1939 to 1975), Catalan language and culture were strictly repressed, with the territory being granted greater autonomy as Spain began a democratisation process in the 1980s. However, popular support for outright independence led to a provisional referendum in November 2014. Although the ‘yes’ side achieved a majority, voter turnout was less than 40 percent, prompting the central government to dismiss the results. Fast forward to 2017 – as was promised, and despite pressure and threats by the central government in Madrid, a referendum on independence was held in the Spanish territory of Catalonia – population 7.5 million – on October 1. The voting was marred by numerous clashes between riot police seeking to seize ballot boxes and close down polling locations and the thousands attempting to vote. There were reports of more than 800 injuries during the voting process, along with more than a dozen police officers also being injured, and an estimated 300 out of a about 2300 polling stations forcibly closed. The central government of Prime Minister Mariano Rajoy insisted that the vote was illegal and contrary to the Spanish constitution and refused to recognise any outcome of the referendum. On the day of the vote, riot police from across Spain were deployed in the Catalan capital, Barcelona, and several other cities, and afterwards were accused of excessive force while trying to seize election materials and prevent any ballots being cast. At the end of the balloting, it was announced that preliminary counts suggested 90 per cent support for independence as a separate Catalan republic. The regional government of Carles Puigdemont hailed the result, stating that a unilateral declaration of independence was now on the cards, with the possibility of that taking place on October 3. However, the early results also suggested that only 42.3 per cent of voters cast ballots, well short of a majority and thus calling into question the strength of the mandate for independence. Prime Minister Rajoy, in a speech after the referendum, reaffirmed that the process was null and void, raising the strong possibility of a critical legal crisis between the two governments. Despite the turmoil of this year’s vote, the outcome this time will be much harder to dismiss. Trade unions in Catalonia are planning a general strike this week in support of Catalan independence, which could cause further disruptions all across Spain. If Catalonia does go forward with a declaration of independence, there will be the question of whether Spain will allow the process to move forward, and what the European Union will do in the case of a unilateral push towards separation. This vote might serve to influence other regions also seeking greater autonomy or independence, including the Basque region of Spain as well as Scotland in the United Kingdom. Other countries beyond Europe, including New Zealand, many also have to decide soon whether to recognise a new Catalonian state despite probable opposition from Madrid; (trade between Spain and New Zealand was over US$500 million by 2016). This crisis, with no clear outcome, could mark another stage in what has been a turbulent decade in European politics. Dr Marc Lanteigne is an international relations expert in the Centre for Defence and Security Studies at Massey University.